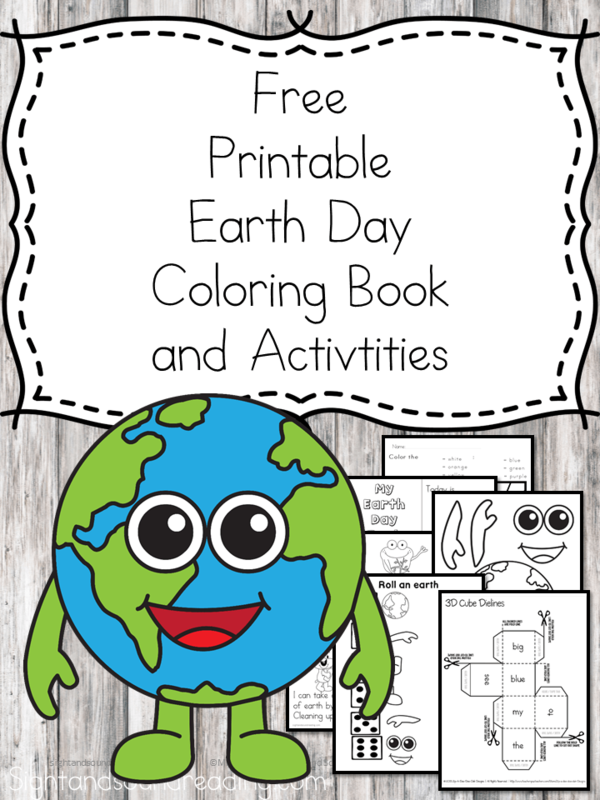 Today I have an Awesome Earth Day Printable Coloring Book for you! If I were celebrating earth day, here is what I would do. I would read the book Beautiful Oops! by Barney Saltzberg . You know when you or a child goes to draw or make something and you make a mistake, you often say “oops” and throw out or recycle the piece of paper? Well, I am guessing you have a few little ones that do this, or a classroom of students that do this. 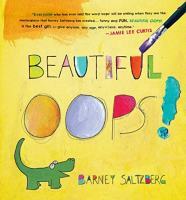 Help them to see that the “oops” can be something beautiful! You can transform your mistake into something awesome. Beautiful Oops! by Barney Saltzberg . is a great book to teach children this concept. I would read Beautiful Oops! by Barney Saltzberg . and then dump out all the “trash” in the recycling bin and create something beautiful. There is a video below from the author of the book, showing him create some fun art from the “trash”. Today I have some fun and free activities to help you celebrate Earth Day with the little people in your life. I have some color by (code)…it is EDITABLE so you can choose the skill you want to use when coloring these pictures. I have a fun coloring book that I made to help kids read and learn about Earth Day and then I have a Roll the Earth (that is also EDITABLE). Oh my, amazing! Here are some pictures of the pages! To get your free Earth Day Printable Coloring Book, enter in your email and they will be sent to you. You will also be added to our mailing list where you will find out about more fun things, like freebies. 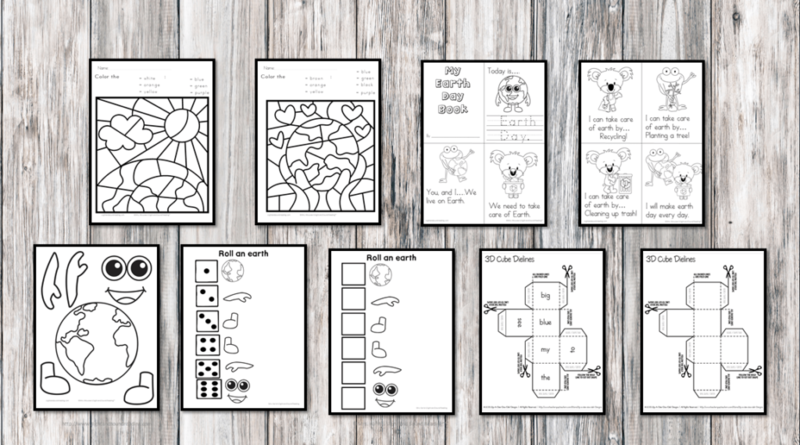 If you have any trouble getting your worksheets, please email me at [email protected] and let me know you are having trouble with your Earth Day Printable Coloring Book.